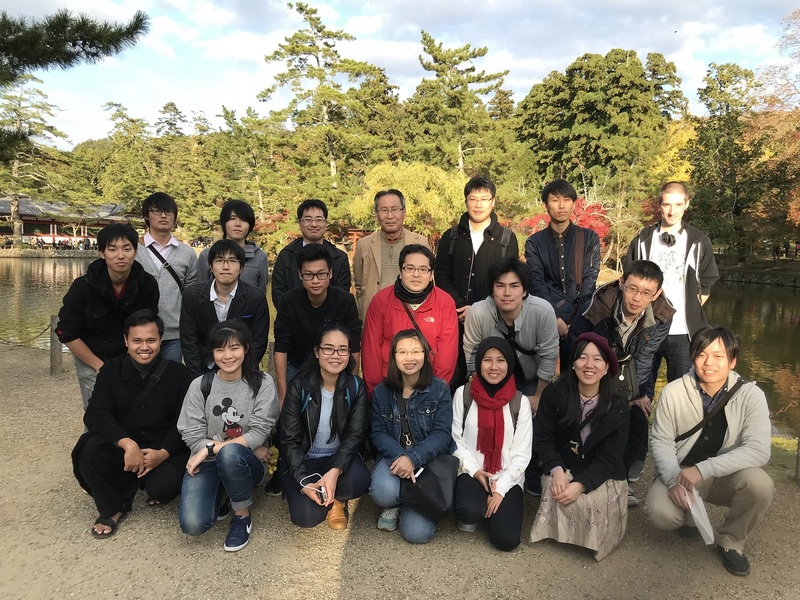 Benny Wahyudianto, a Tanoto Scholar, is contributing to science by being part of a team in Japan which is conducting research about the synthesis of gold-based supramolecular compounds used within the chemical industry. Led by the renowned Professor Takumi Konno of Osaka University, the team is researching the compounds which can be developed for several purposes, including as chemical sensors and hosts for catalyst compounds. These compounds can be developed as several purposes, such as chemical sensor and host for catalyst compounds. At the moment, the team is preparing a draft manuscript with the plan to submit it to international journals and disseminate the new findings to the wider scientific community. In addition, the team is seeking patent rights in order to commercialise application of these compounds. Benny is currently undertaking a Master of Science at the Department of Chemistry Graduate School of Science at Osaka University, while conducting research at the university’s Konno Laboratory. Prior to that, he graduated from the Faculty of Mathematics and Natural Sciences at Gadjah Mada University (UGM) in Yogyakarta. Benny received a Tanoto Foundation scholarship in 2013, which helped to support his undergraduate studies at UGM. According to him, being part of the Tanoto Foundation family was an invaluable experience which helped to pave his motivational road to success. “The best part of my time as a Tanoto Scholar was listening to a speech from Mr Sukanto Tanoto back then. He unknowingly became my direct motivator when he shared that he was able to build his business by learning from thousands of failures,” said Benny. Benny was impressed with Mr Tanoto, who was successful in using that principle to develop the Royal Golden Eagle Group into a global company. “He shared that he traveled around several parts of the world when he was younger to meet entrepreneurs and to hear about their past failures before running his own company. “So the main takeaway was the importance of being able to get up after a failure and to learn from it afterwards,” Benny said. With that, Benny began viewing overcoming obstacles as being common for everyone. He faced his own obstacle when he first arrived in Japan in 2017 for graduate school, losing 10kg of weight in just one week due to culture shock. “Indonesia and Japan are quite different in culture. Easy examples are food portions and working hours. From what I know, typical food portions for Japanese people are half that of what Indonesians eat,” he said. Benny was also forced to master at least 15 research instruments within a two-month deadline. “As our lab skills are not on par to Japan’s, I found myself working more than 12 hours per day (sometimes up to 16 hours) to keep up. And this is even though I had more than four years of lab experience before coming to Japan,” Benny shared. According to Benny, more than 300 experiments which he conducted have ended in failure. But he persisted and finally succeeded in improving the characterization of gold-based metalloligand compounds and expanding its application during his research on coordination chemistry, supramolecular compounds and crystallography. 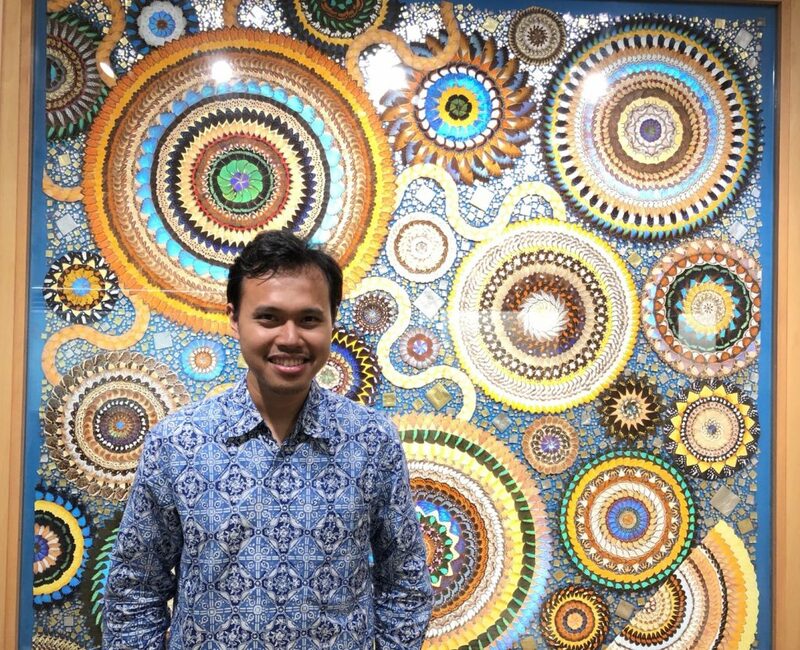 Benny said that he has received many lecturer or researcher job offers both within and outside Indonesia in the past year. In terms of his recent scientific discovery, he shared that he has even been contacted by a businessman interested in using his his idea to build within the chemical industry in indonesia. “I told him that we will able to cover or supply the ASEAN area within one to five years, if his company were to use my road map,” Benny said. Benny said that he plans to return to Indonesia in three to four years’ time. “I want to make Indonesian people understand that our nation’s potential is vast, both in terms of natural resources and human resources. “I don’t really care for pessimists’ negativity – I think if we want to do something, we should just do it and do the best we can. Leave the outcome to God,” he said.